What to Do After a Car Accident in Arizona? Following a car accident in Arizona, there are 10 critical steps to take from exchanging information at the scene to talking with an attorney. A car accident is a traumatic event. Following a crash, there may be a number of emotions running through your head and it can be difficult to focus on the things you need to do. That’s why we’ve distilled the actions you should take following a car accident in Arizona into 10 essential steps. Consider printing out this article and putting it in the glove compartment or glovebox of your car so that you have the information at your fingertips in the unfortunate event that you’re involved in a wreck. Leaving an accident is a common impulse. You may fear retaliation from the other driver or you may believe there was no damage done in the accident. Regardless of the reason, leaving the scene of an accident without stopping and exchanging information with the other driver (or leaving a clearly visible note with your contact information if the car you struck was unoccupied) is against the law in Arizona. Penalties for a hit and run are significant, ranging from 30 days in jail to more than 12 years in jail. Helping someone who’s hurt after a car accident is not only the right thing to do, it’s also the law in Arizona. Title 28, Section 661 of the Arizona Revised Statutes requires drivers who are involved in an injury-causing accident to render “reasonable assistance” and/or help coordinate medical transportation. It’s important to call the police, even after a minor car accident. In cases involving injuries or property damage, the responding police officer will prepare a police report. This report will be very important for any future insurance claim or lawsuit. Be honest and tell the police officer the truth, including anything that might help your case, so that the officer can include the information in the report. For example, if the accident occurred at night and the other driver had their headlights turned off, you’ll want to make sure the police officer is aware of that fact. Enjuris tip: If you believe the other driver was drinking and driving, tell the police officer. A police officer must have reasonable suspicion in order to administer a field sobriety test. Your statement might be enough to create the necessary reasonable suspicion. Obtaining this information will also be important if you intend to pursue compensation for your damages. Be sure to ask the other driver to see the documents from which you can obtain the above information (e.g., driver’s license). Drivers who don’t have insurance will often lie about their name and address, so you’ll want to be able to verify the information yourself. There’s also a chance the driver will leave the scene before the police arrive, so don’t assume the police will be able to get this information. Enjuris tip: Take a look at our article on how to find witnesses after a car accident to learn more about locating witnesses. Your health should be your top priority. If you’re injured in a car accident, you’ll want to seek medical attention as soon as possible. Your failure to seek medical help right away exacerbated or prolonged your injuries, and your damages should be reduced according. Enjuris tip: If you have concerns about paying medical costs while your claim or lawsuit is pending, consider a lawsuit loan. Even if the accident wasn’t your fault, you’ll want to check your policy and contact your insurance provider at some point after the accident. Have the other driver’s information ready so that you can provide it to your insurer. As soon as the day after an accident, you can expect a call from the insurance adjuster for the other driver. A common tactic when the other driver is at fault is for the adjuster to offer a quick settlement. A quick settlement for a serious car accident is usually a mistake. If it’s soon after the accident, you likely have no way of knowing just how serious your injuries are. The mild pain you’re experiencing now may be permanent or may progress into something more serious down the road. If you accept a settlement early on, you won’t be able to sue for more damages later, even if you ultimately discover that there are more damages than you initially thought. When the adjuster first calls, make it clear that you want them to communicate to you in writing. Then inform the adjuster that you will need to determine the full value of your injuries before discussing a settlement and that you will communicate this amount through a demand letter when the time is appropriate. If you’re involved in more than just a minor accident or are having issues receiving sufficient compensation for your injuries from an insurance company, consider hiring an experienced Arizona personal injury attorney. An experienced attorney can deal with the insurance company and help maximize your recovery. 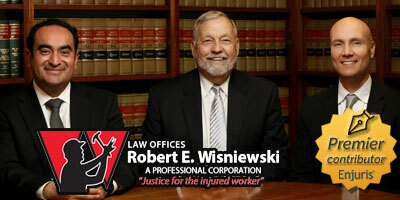 Most personal injury attorneys work on contingency basis (usually 1/3 of the damages awarded). This means you don’t pay anything unless you recover damages. Most personal injury attorneys offer free initial consultations where they can help you determine whether you have a case worth pursuing. Enjuris tip: Under the statute of limitations, most car crash and personal injury cases in Arizona must be filed within 2 years of the accident. Don’t let your case drag on before contacting an attorney.